Parents will agree that taking their child for vaccinations is not on their list of favourite things to do. But despite their reservations—their child hates needles or so many shots are required—most parents make sure their children get immunized on schedule and on time. 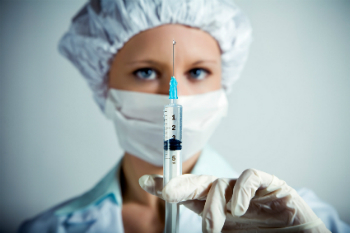 Vaccines are formulated to allow the body to develop antibodies to fight a specific disease. If a child is exposed to the actual disease—for example, measles—but has not been vaccinated against it, they will almost certainly develop the disease. It really isn’t very complicated: no vaccination means a very high risk of catching and having symptoms of the disease. Once a child has a disease, the risks and repercussions only increase from there. The symptoms of many vaccine-preventable diseases, whether mild or severe, may last for days or weeks and can sometimes lead to serious complications and even death. Healthcare professionals—and family members—can be put at risk when caring for and treating the child, further increasing the risk of transmission to others. Infectious disease specialists and public health officials often talk about herd immunity, which refers to the effectiveness of immunization when the vast majority of people have been vaccinated against a disease. One of the key ways herd immunity works is by minimizing the number of people who are at risk of catching the disease, thus diminishing its power to spread. When someone who is not vaccinated against a particular disease come into contact with that disease, the spread becomes exponential if other people in the community are not vaccinated against it either. Every non-vaccinated person they meet – and in turn, every non-vaccinated person they meet – is vulnerable. More important, certain children and adults with weak immune systems--whether because of chemotherapy for cancer, other medication or because they were born like that--often can’t get vaccinated. They are also at increased risk of complications from vaccine-preventable diseases and therefore need herd immunity to remain protected. To see how this can happen, imagine a school in a community where there’s a measles outbreak. If Olivia, one of the students, was vaccinated against measles (two doses at 12 and 18 months of age), then she’s protected and can’t pass it on to her classmate Oliver. If Oliver was vaccinated, the same holds true for everyone he comes into contact with. But since there are known cases of measles in this community, any child in the class who isn’t vaccinated is at great risk of developing measles and passing it on to every other child who isn’t vaccinated. Another consequence of contracting a serious vaccine-preventable illness is that a child may have to be isolated. There might also be a need to ask children who are not vaccinated to stay away from school or daycare to decrease transmission if cases of vaccine-preventable diseases occur in the community, a fact that can affect the entire family. A child may have to be taken out of school for days or even weeks, which can significantly affect their studies. Being away from school may also cause social isolation—missing friends and not taking part in school activities and events. A child with a contagious illness will not be able to see people who are vulnerable to disease: infants, elderly family members, and any child or adult with a weak immune system. Parents may have to stay home from work for the duration of their child’s illness. It’s important to follow the recommended vaccination schedule  in terms of required doses and timing for your child. Public health officials prepare the schedule according to relevant data and clinical evidence. Recommendations are often based on when the child is most vulnerable to the disease and when the vaccine will provide the most protection. Following the recommendations is the best way to ensure that your child has the best defense against the most serious contagious diseases.